The more track-worthy version of the popular RWD roadster. It feels like the 370Z has been around forever; in fact, it’s been on sale since 2009 (here are our past 370Z Reviews). The essential ingredients of a 3.7-liter V6 and rear-wheel drive have lasted the course, but there have been countless detail improvements along the way. For 2018 all models received darkened head- and taillight clusters and a black rear diffuser. Passion Red, the attractive shade of the Roadster driven here, was also new for 2018 and is a US$695 / C$750 option. Nissan has revealed that 2019 models will be largely unchanged except for the addition to all models of an auto-dimming rearview mirror and RearView Monitor back-up camera. The Touring Sport is the higher of two trim levels available on the Roadster. Upgrades over the Touring model include 19-inch RAYS alloy wheels, uprated sport brakes and a choice of two transmissions: a rev-matching 6-speed manual, or, as tested here, a 7-speed automatic. Coupe buyers can also opt for an entry-level 370Z or a performance-focused Nismo edition. The Roadster offers a comfortable driving position for this reviewer’s long-limbed, 6ft frame although I would have preferred some reach adjustment in the steering wheel. The leather-trimmed heated and cooled seats have a quality feel and the 7-inch touchscreen with standard GPS brings some contemporary technology to the party. The fashion-conscious will note that some of the cockpit’s design elements are – understandably – a little more 2009 than 2019. The driving experience of any 370Z is largely defined by the core attributes of a beefy, normally aspirated V6 and rear-wheel drive. In an age when smaller capacity, more fuel-efficient turbocharged engines are increasingly common, the Nissan motor is something of a throwback, but it does have character that’s not easily matched. The same might be said of the steering, whose hydraulic assistance reminds you that electric alternatives still struggle to attain good feel. The ride is compliant enough for a sports car and is certainly preferably on public roads to the track-friendly setup in the Nismo coupe. The test car was fitted with the optional 7-speed automatic transmission. It blips the throttle nicely on the downshift but I could have used a little more urgency when changing up. Overall the experience is less visceral than with the 6-speed manual, but it might be less wearing if you drive your Roadster every day. The base 2019 370Z starts at US$41,820; the Touring at US$46,570; and the top Touring Sport at US$49,400. 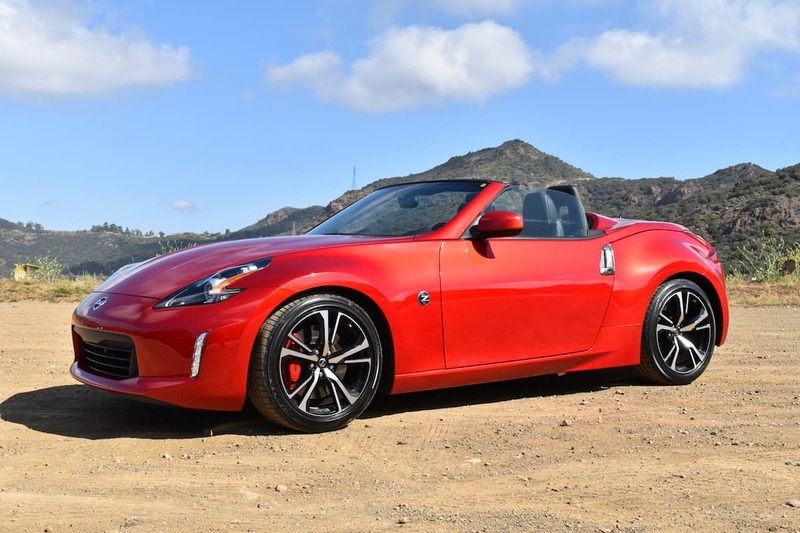 The 2019 Nissan 370Z Touring Sport with Black Top starts at C$53,998; the Touring Sport with Bordeaux Top starts at C$55,498. Here’s more on 2019 370Z pricing and details at SlashGear. Nissan Gripz Concept the New Nissan Juke?